In 1988, the pharmaceutical industry directly employed 5,200 people; today over 25,000 people are employed directly and a further 25,000 people are employed in roles and supporting and servicing this industry. In recent years, job growth has averaged out at 1,000 per year. The pharmaceutical industry has invested more than €7 billion in Ireland over the last decade. Between 2011 and 2013 (when many industries were still struggling with recovery from the global financial crisis), over €7 billion was invested leading to 1500 new jobs. In 2011 alone, medical technology companies based in Ireland committed €170 million in investments, this was estimated to lead to 875 jobs in the field. Since 2012, a further €300 million of investment has been announced within the medical device sector, this is associated with over 2000 new jobs. At the end of 2014, the industry body, the Irish Medical Device Association, announced results of a sentiment survey of its members: 77% expect to see a rise in sales; 44% expect to be hiring new employees; 35% expect an increase in the spending across research and development. Figures from the Central Statistics Office show that exports of medical and pharmaceutical products totaled €21.6 billion in 2013. In 2014, that figure had increased €22.2 billion and in 2015, it was €30.2 billion. Ireland’s past successes have come not only from the growth of existing opportunities but from embracing new technologies and innovations. Ireland has learned well from these successes and continues to strive to be a center of excellence for innovation within the sector. As part of the National Development Plan in 2007, the Irish government gave over €8 billion of funding towards Science, Technology, and Innovation. Some of this funding was used to develop research centers, this investment in research has ensured that Ireland is building its own future in innovation. Examples include the Biomedical Diagnostics Institute which is developing next-generation medical devices and the Shannon Applied Biotechnology Centre which is working with natural resources to develop molecules as targets for drug development. Moving forward, Enterprise Ireland has outlined the following areas as opportunities for growth over the next five years: value-added generic pharmaceuticals; early stage pharmaceutical research; contract services for the pharmaceutical industry; gastrointestinal disorders; products bringing together technologies from different platforms in collaborations. This forward-looking strategy has identified areas of high potential and made them a priority in Ireland – working in this way will make sure Ireland stays at the fore. IMDA (the Irish Medical Devices Association) estimates that over 80% of Irish medical device companies are “innovative active” i.e. currently involved with research and development. This process is increasingly bringing together different sectors (e.g. biotech, devices, software, etc.) to produce truly innovative medical products. With such a selection of interested companies in one area, Ireland is the perfect place for companies to be collaborating in this forward-thinking way. In 2018, Ireland ranked 10th out of 128 countries on the Global Innovation Index. Ireland is already a well-respected center of excellence for manufacturing within these industries, what it is striving for now is to be as well regarded for its efforts in innovation too. As well as there being good growth and a solid focus on innovation – both of which should lead to job creation – the additional good news is that jobs in the pharmaceutical and medical devices sector pay well. The Central Statistics Office reports that people working in the pharmaceutical industry earn approximately 30% more than Ireland’s national average and the IPHA (the Irish Pharmaceutical Healthcare Association) suggest that salaries are higher when compared against other manufacturing roles. Pharmacareers Ireland reports typical salaries of €40,000 – 50,000 for employees with four or more years experience. For more information about specific job roles, have a look at our page on roles and salaries where we take you through some of the roles the industry has to offer as well as what they typically pay based on experience levels. The important thing about the well-paying jobs within this sector is that they are throughout the career ladder – from entry-level positions onwards – so it’s never too late to reskill into this area and take advantage of its benefits. Before committing to a change of career though, it is important to consider the security of your new role. Whilst nothing can ever be guaranteed, what we can tell you is that the medical device and pharmaceutical industries in Ireland have not faced the same historical ups and downs of other industries. We spoke at length before about growth but it’s important to note that growth has been sustained over many years – this industry has performed well throughout many dips in other sectors. Many manufacturing sectors showed a decline after 2002, the pharmaceutical and medical device sectors did not, they have continued to grow year-on-year. There are two main factors at play here: the high level of foreign direct investment which has led to new companies as well as an expansion of established ones; and the amount of final product which is exported – these industries have shown great stability. Even in response to the global economic crisis, these industries have grown year-on-year and even research and development funding has continued to grow, a sign of confidence in the market. The medical technology industry is of great importance to the economy of Ireland, the country has not been without its financial struggles and the stability of the pharmaceutical and medical device industries has been important in its recovery. 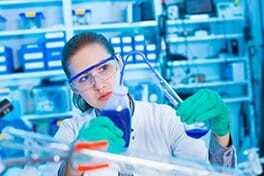 One of the main draws of Ireland for medical device and pharmaceutical is the talent pool that exists in the country. However, with the industry growing at the rate it currently is, the talent pool is becoming increasingly sparse. For the full list, see the report here. All of these employment areas are expected to remain “in demand” for quite some time – this means it’s an excellent time to consider reskilling and getting involved. 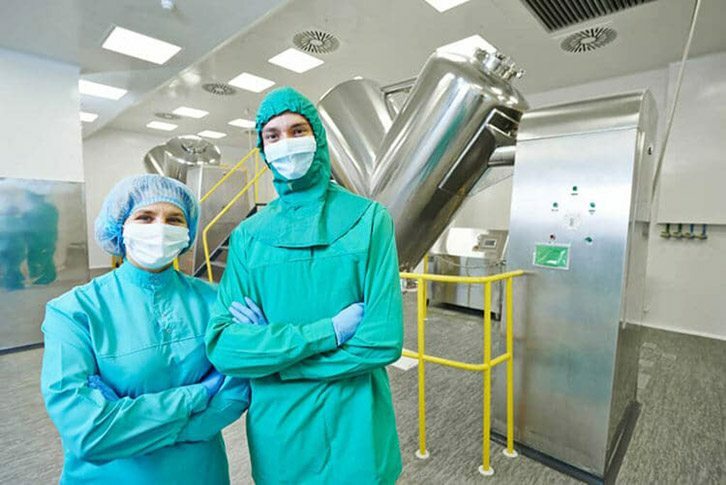 The other good news, it that the Irish recruitment agency Brightwater has reported a “steady expansion at VP, director, and CxO level” within both the pharmaceutical and medical device sectors so opportunities are increasing all the way up the career ladder – once in, there is an excellent scope for progression. Having so many of the world’s top medical device and pharmaceutical companies here is a unique offering in career progression – not only do companies of this size often invest significantly in development and training of staff, often promoting from within, they can offer scope to move to different departments and even different locations with the company. But first, you need to help you started in this industry. To that end check out our own courses. Our eBioPharmaChem course is FREE for Unemployed people in Ireland who qualify under the Springboard Scheme. If you are thinking of re-skilling into this sector and would like more information, contact us for details. Already Working but Still Thinking of Changing Careers? Feel free to check out our Manufacturing Safe Medicines & Medical Devices (Intro) course which will help you get a start on a career path into the pharmaceutical and medical device manufacturing industry. I like the industry so much. But I only have a higher secondary School certificate with good science grade. I am an asylum seeker. I am an asylum seeker. I want to take this a career.